The 22nd edition of Décor & Design Buyers’ Guide was launched on 1 August 2018. Once again, the team at SA Décor & Design has compiled a remarkable directory of over 3 000 key industry players, home décor specialists, interior designers, architects and lifestyle brands. “I am proud of what this guide has become over the past 22 years. It continues to provide inspiration and valuable information to our readers as well as offering the latest information on trends, products and brands,” says Marcia Margolius of SA Décor & Design. 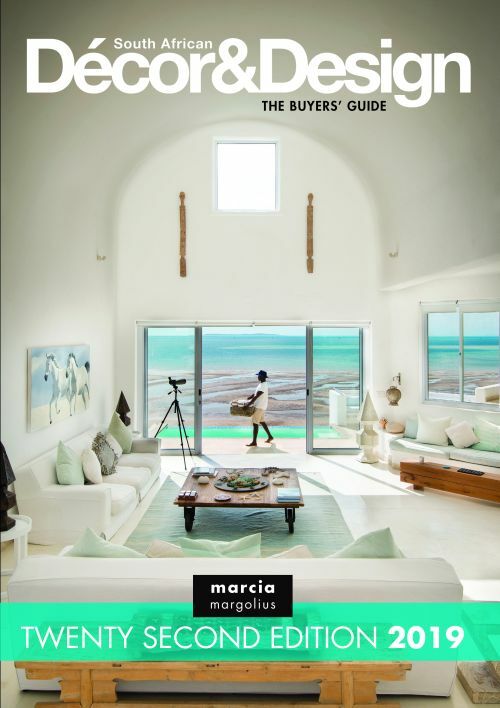 The cover design of this year’s Buyers’ Guide was inspired by the warm and restful lifestyle that is synonymous with South African living – luxury and elegance blending seamlessly with casual comfort. With this year’s guide, one lucky winner stands the chance to win a “Bed and bath makeover” worth R70 000, including a coveted bed set from Sealy and ever-stylish Duravit sanitaryware. SA Décor & Design recently launched its new website, which can be visited at www.sadecor.co.za. The company strives to be at the forefront of international exhibitions, events and shows, while embracing the rise of the social and digital spheres. “This year’s edition of the Buyers’ Guide is another essential brick in the structure that houses all the esteemed contributors to the décor and design industry in South Africa, and we are grateful for the opportunity to provide this service,” concludes Marcia. For more information, contact SA Décor & Design on +27 (21) 418 7768 or www.sadecor.co.za.